Most of us know someone who is very passionate about golf, even though we don’t fully comprehend the game ourselves. If there is a golfer in your life, be it a family member, friend, colleague, or acquaintance, who you would like to buy a present for, you may not be certain what they truly need. To help you in your quest, we have compiled a list of our top 20 gift ideas for golfers, as well as some features to keep in mind when purchasing. Golf might seem like a slow-paced and relaxing game, but there are hard swings and plenty of elements that could affect a product’s resilience. To ensure your giftee truly gets the most out of their gift, purchase a high-quality item that is durable and strong. Golf is a game that takes place under the sun. It involves a lot of sweat, dirt, and potentially, water and mud. So if the gift you are purchasing is to be used out on the course, it has to be able to resist damage from these elements: sun, water, dirt, all of it. A gift meant to be brought out onto the course shouldn’t be too heavy. There’s a lot of walking that needs to be done and no golfer wants to have to lug around something very heavy with them, on top of all their golf clubs! Depending on the gift you are purchasing, its usefulness may be dictated by the type of golfing the recipient enjoys most. Do they have a particular style? What type of courses do they play? Do they use a caddy? How long do they typically spend golfing? Tailor your present to match these preferences to show you really put thought into it! The Birdicorn 6-in-1 Golf Divot Tool has six functions all in one. Not only is it a great divot tool, but it is also a ball line stencil and marker holder. On top of that, it works as a groove cleaner, putt alignment helper, and even a bottle opener! 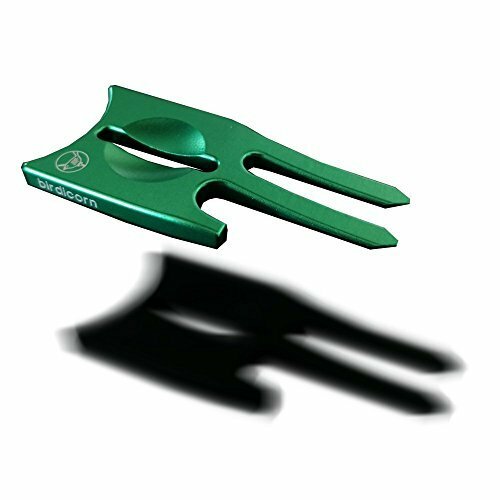 This golf divot tool is made from lightweight CNC aluminum and comes with a ball marker. It’s also available in lots of different colors. 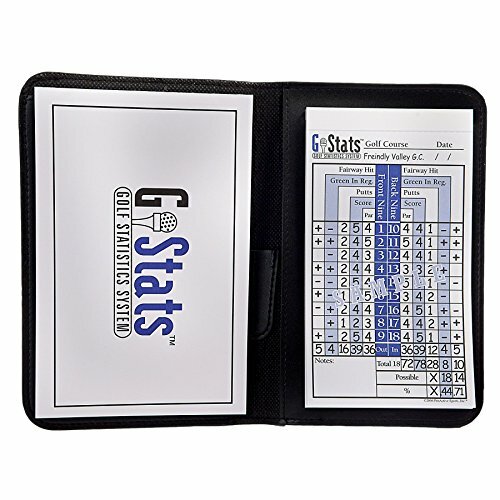 The ProActive Sports SGS002 G Stats Golf Statistic and Score Tracking System is a fantastic book that provides an easy, simple way to organize golf scores and statistics. It can break down score totals over 9 holes at a time and even has a card holder and pencil holder. This tracking system allows users to take note of fairway hits, putt amounts, greens in regulation, and par. Many passionate golfers want to practice just about anywhere. The JEF World of Golf Collapsible Chipping Net provides an easy way to do so. Made from high-quality materials, it has 3 chipping baskets and works for golfers of all skill levels. 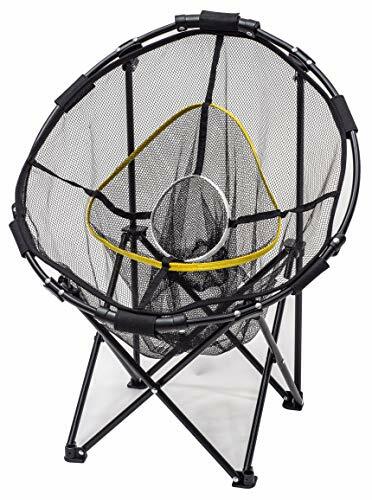 This chipping net comes in two sizes and can be used by both right-handed and left-handed golfers. It’s challenging and good practice! 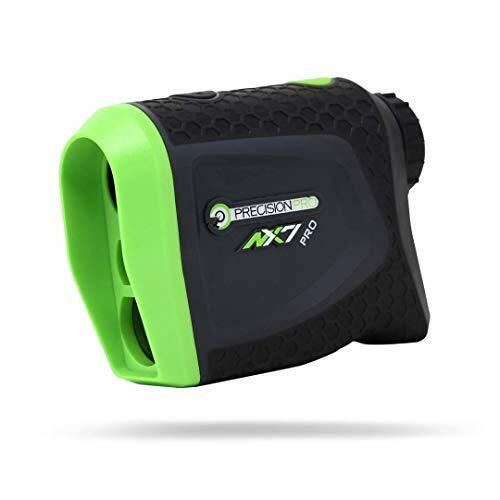 The Precision Pro Golf NX7 Pro Slope Golf Rangefinder provides clear optics with accurate yardage readings for a precise scoping mechanism that helps golfers of all skill levels. It allows for easier club selection and target aiming, and it delivers a vibration when targets are shot. This rangefinder comes with a carrying case, instruction manual, cleaning cloth, lanyard, and the necessary batteries. It is also backed by a 2-year warranty, the ability to trade-in the device, and battery replacement services. The SKLZ Accelerator Pro Indoor Putting Green With Ball Return is a fantastic indoor golfing device that mimics real green putts for a realistic golfing experience. It has an automatic ball return function that allows for repeated training with zero interruptions. 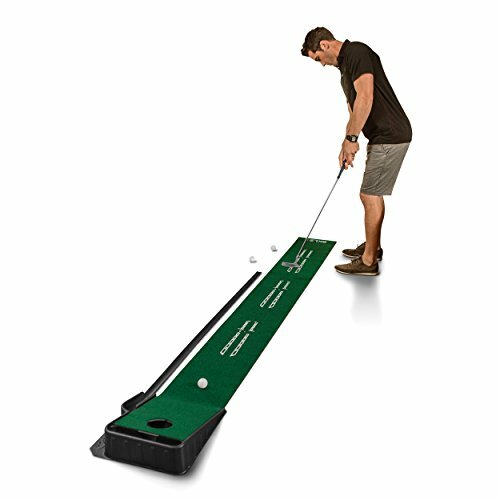 This indoor putting green offers alignment guides and is surprisingly portable despite its size. It easily fits in just about any room! The Club Glove Golf Microfiber Caddy and Pocket Towel Set is made from high-quality fibers and designed to be able to wipe down clubs and all sorts of golf devices without leaving behind lint or abrasions. These golf towels are some of the best in the market and extremely absorbing, holding 3 times its weight in water. 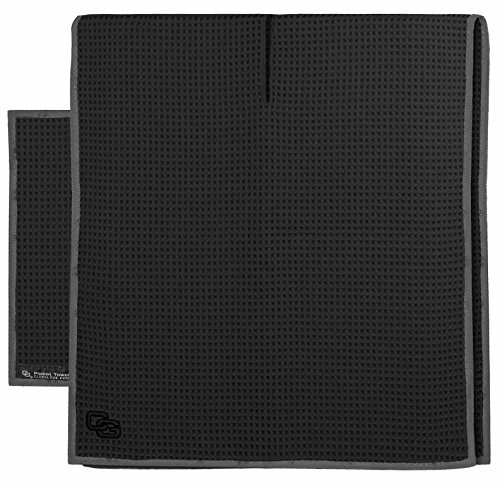 This set comes with both a caddy towel and a pocket towel and is available in lots of color options. 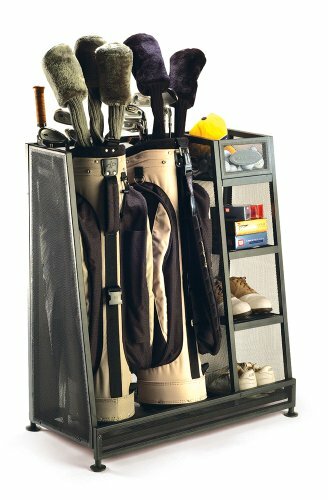 The Suncast GO3216 Golf Organizer is a great home organizer for golfers. It keeps golf clubs, bags, and other accessories easily and in a neat and orderly fashion. 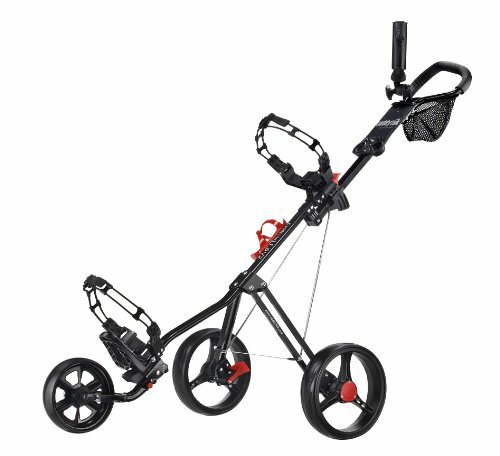 It has enough space for two golf bags and is made from a highly durable metal. This golf organizer is spacious and uses adjustable feet for leveling purposes. For a simple training process, look no further than the SelfieGolf Record Golf Swing. This device records golf gameplay and captures every single move, even the most minuscule wrist twitches, and foot position errors. 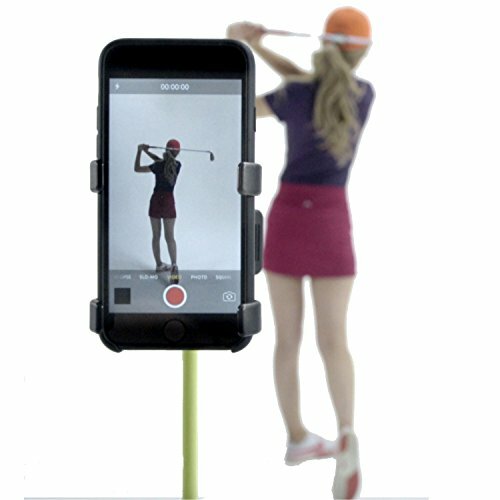 Users of the SelfieGolf can see replay their golf swing in order to review posture, swing, form, and every little minute detail. This device is helpful, lightweight, and highly user-friendly. The Wedge Guys PGA Approved Professional Bamboo Golf Tees are made from biodegradable but sturdy bamboo. They are durable – a whopping 7 times stronger than the average wood tees – and they are highly environmentally friendly to boot. 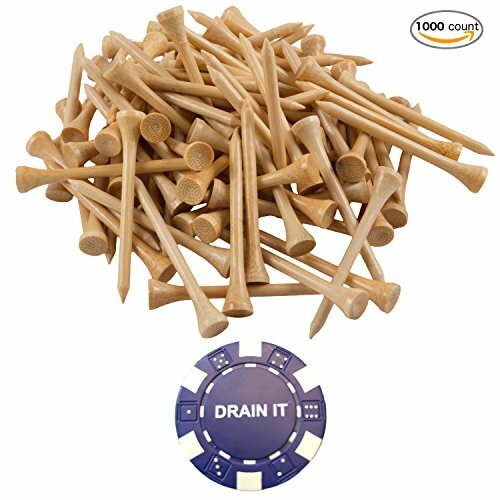 These golf tees are approved by the PGA and are USGA-conforming, and they have a 30-day 100% satisfaction guarantee. You can buy them in bulk bags at affordable prices, so your giftee never runs out of tees again. The CaddyTek SuperLite Deluxe Golf Push Cart is a great item for those who golf without a caddy. It weighs less than 12.2 lbs, making it very lightweight for its purpose, and it has an easy-to-use patented foot brake that uses “push to use” and “push to release” technology. This golf push cart has a front wheel alignment mechanism for easier pushing, and it includes a mesh net, umbrella holder, and drink holder. 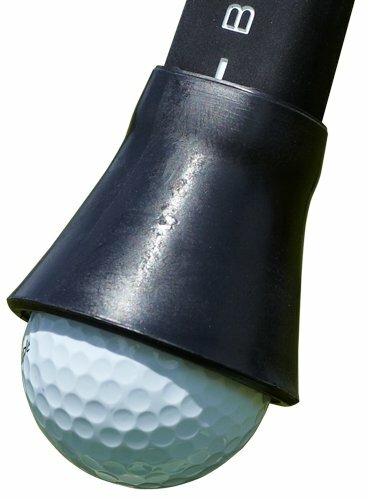 The PrideSports Golf Ball Pick-Up is an amazing accessibility tool with very simple function. It is attached to the end of a putter grip and used to pick up a golf ball without bending over. 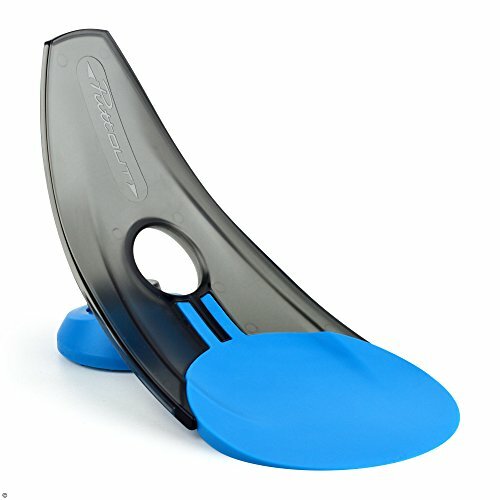 This golf ball pick-up is a great gift for golfers who are elderly, have disabilities or pain, or simply don’t like bending down to pick things up. Just make sure it’s the right size for your giftee’s putter grips before purchasing! 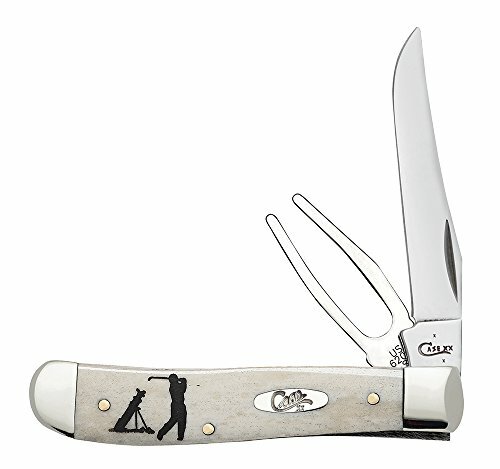 The Case Golfer’s Tool Pocket Knife Gift Set is a multi-function pocket knife that is wonderful for both outdoor use and golfing use. It is made with a surgical steel blade and comes with a divot repair device and a clip blade. This pocket knife has a limited lifetime warranty and lots of colors to choose from. 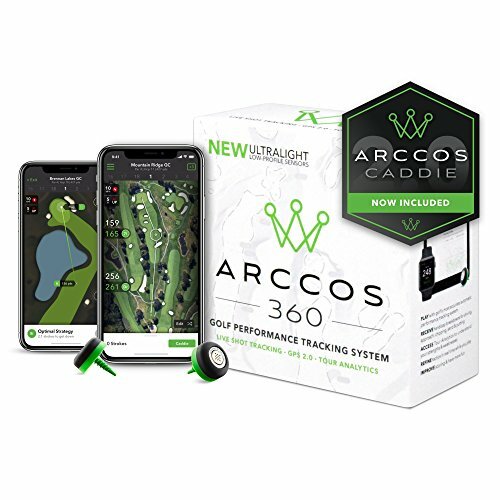 For a more advanced golf trainer, look no further than the Arccos Golf 360 Golf Performance Tracking System. It helps users to identify their weaknesses and strengths and provides options to analyze all shots made. This performance tracking system is 100% automatic and does not require any tapping or tagging thanks to a free mobile app. It even informs users of the exact distance between points on a golf course and educates them on the best clubs to use. Arnold Palmer is one of the most celebrated golfers in history, and likely someone the golfer in your life looks up to. 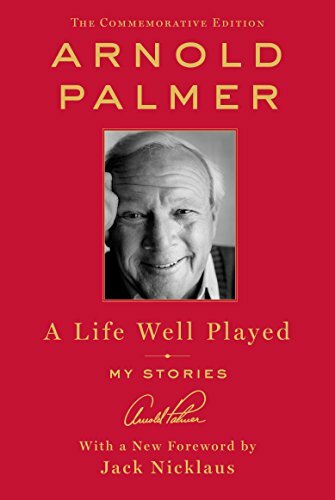 The A Life Well Played: My Stories (Commemorative Edition) book provides an inside look into Palmer’s life. This book is Palmer’s perspective on who he was, both as a professional golfer and an individual, and talks about many of his experiences. It’s sure to be treasured by any golf-lover. 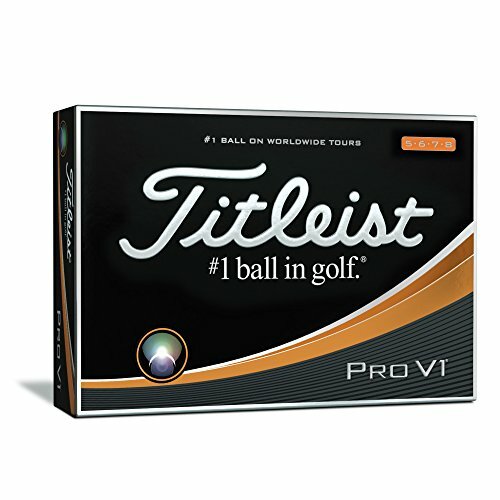 The Titleist Pro V1 Golf Balls are some of the best golf balls on the market. They have a delightful soft feel to them and promise huge distances at consistent flights that your giftee can really count on. These golf balls have an amazing penetrating trajectory and a low, long game spin. 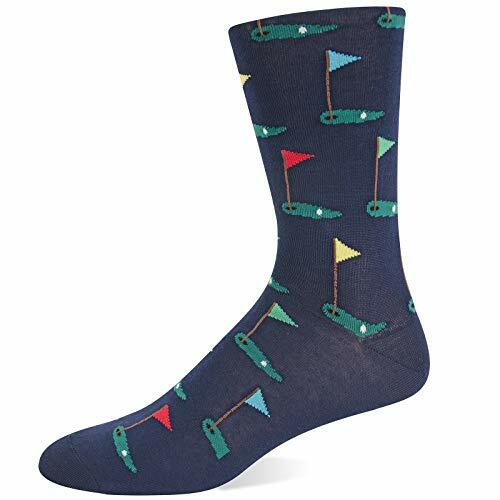 The Hot Sox Men’s Novelty Sporting Crew Socks is a great gift for a golfer who wants to show off their passion in a tasteful and subtle way. Made from a great blend of materials, these crew socks are detailed and have vibrant, colorful designs. These socks are machine washable and great quality, and they come in three fun colors. 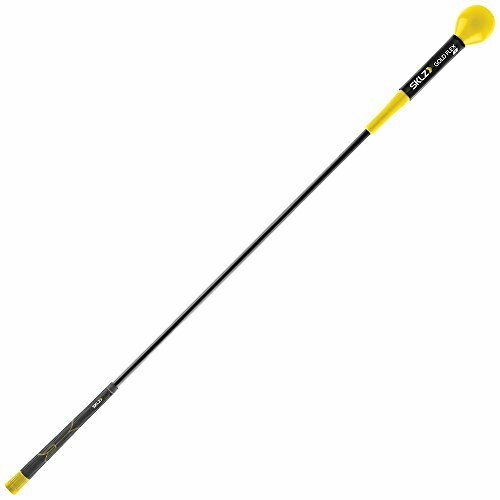 The SKLZ Gold Flex Golf Training Aid is a renowned swing power trainer that helps users develop the muscles they need for a good golfing experience. It has a 2.5 lb weight head to allow for muscle memory building, lag and strength training, and a good swing path and plane. This golf training aid is a good warm-up tool, helps fix swing errors, and will aid your giftee in their skill improvement. It is highly durable and will last for a long time without suffering wear and tear. 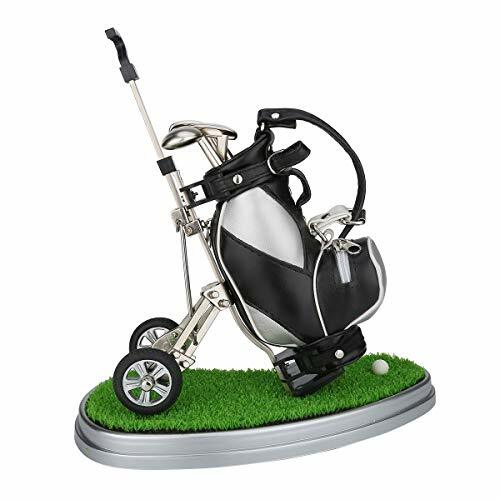 The 10L0L Golf Pens with Golf Bag Holder is a fun novelty gift for someone who would like to add some personality to their office. It includes three ink pens in the shapes of different golf clubs and in three different ink colors, as well as a golf bag holder with a movable handle. These golf pens are great fun and make for a unique gift. Plus, they have a 90-day money back guarantee. The GrooveMaster Golf Club Groove Sharpener is the perfect sharpener for a huge range of iron brands and clubs. It has a 65 hardness level on the Rockwell scale and is made from carbide tungsten steel that has been vacuum heat treated. 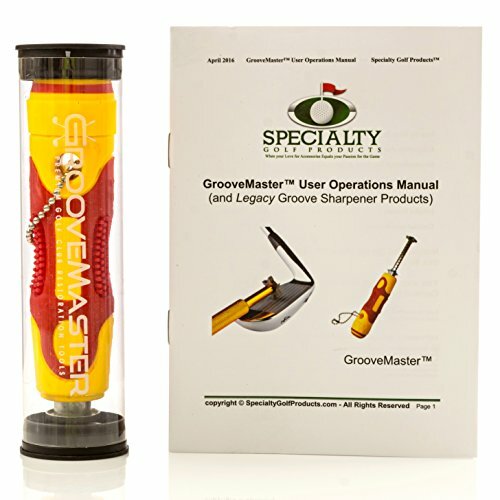 This groove sharpener is durable, has 8 different settings and lengths, and comes with a 12-page booklet for instructions. The PuttOut Pressure Putt Trainer is a training aid that is highly compact and fits easily into a golf bag. It simulates real course holes thanks to a parabolic curve in its design. It provides excellent feedback to improve swing and pace. This putt trainer offers highly reliable returns, returning good putts at accurate distances and rejecting bad putts back to the user. It is made from a high-quality material that is extremely durable and strong. How Often Should You Change Golf Balls For a More Accurate Game? How Much Does it Cost to Regrip Golf Clubs & When Should You Do It?